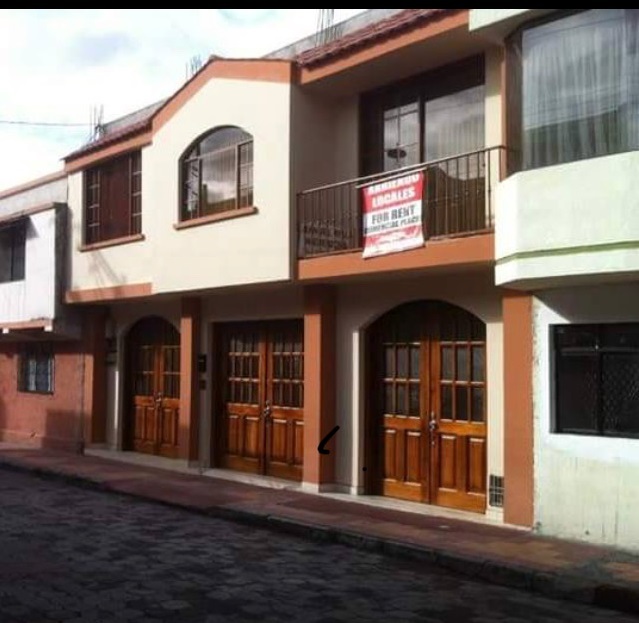 This house is located in the heart of the beautiful city of Cotacachi. It has 461 m2 of land an 316m2 of construction. In the ground floor it has four comercial places to be rent which are now used by the first notary of the city. The apartment is located at the first floor and has 160 m2. It also has a backyard with BBQ zone and green space. Also plans to build another apartment at the second floor has already been aproved. This property is located in: Cotacachi (Imbabura, Ecuador).